Before you start shopping for a home this spring, you’ll want to get yourself pre-approved for a mortgage. Everyone will tell you that. But, not all mortgage pre-approvals are the same. When speaking with your mortgage broker, and getting yourself pre-approved for a mortgage it is incredibly important to understand what type of mortgage pre-approval you are getting. Some mortgage pre-approvals are more in depth, some will protect your rate, some will just be math, and others thorough. 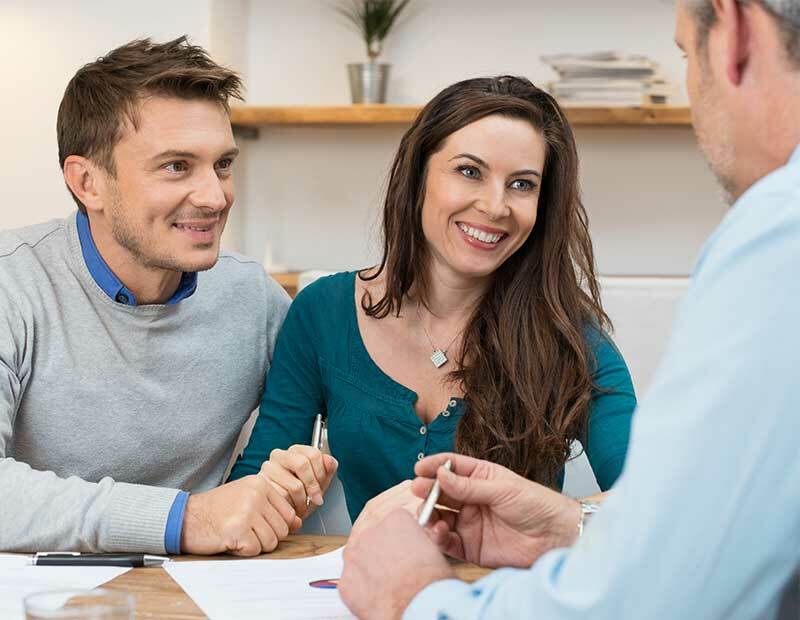 Regardless or what type of mortgage pre-approval you decide to go with, it is important that you talk to a mortgage broker BEFORE you begin shopping for a home. At Alberta Mortgage, mortgage pre-approvals are completely free, so there is nothing to lose. In essence, there are 4 types of mortgage pre-approvals, and each have their own pros and cons. The purpose of this article is to provide you with a brief explanation of each type of mortgage pre-approval, so that when you sit down with your mortgage broker this spring, you’ll be armed with the knowledge and ability to ask the questions that will ensure that you are getting the service you want. You are now ready to speak to a mortgage broker, and get yourself pre-approved for a mortgage. As an interested home purchaser, it is important for you to know that every time your credit report is obtained or “pulled,” your credit score temporarily drops. As mentioned here in our blog before,qualifying for a mortgage in Canada is very credit dependent. Mortgage lenders and insurers often have minimum credit score requirements in place for a variety of their products -meaning that if you get to many credit checks done this spring while shopping mortgages, you could find yourself being unable to qualify for certain products when the time comes for you to actually purchase a home. While the effect of multiple credit checks on a credit score is temporary, it could take months for the score to get back to where it was when the first credit check was done -potentially postponing your ability to purchase a home. A good mortgage broker understands the effect of pulling your credit, and therefore, unless you are looking at purchasing a home within 30 days (the maximum amount of time that a mortgage broker can reuse the credit report they pulled for you) the mortgage broker should only be doing credit checks in unique situations. In the case of a Numbers Only (light) mortgage pre-approval, the mortgage broker will simply work pre-qualify you based on mathematical calculations involving your income, and expenses. There are several mortgage calculators on the internet that claim to be able to provide you with these exact same calculations, however, many calculators do not provide a truly accurate number. We therefore recommend talking to a mortgage broker, even if simply for a 5 minute mathematical calculation.With a budget in mind, you’ll be able to start the process of looking for a home that fits your lifestyle. While a simple numbers only type of mortgage pre-approval is better than no pre-approval, this type of pre-approval does not provide you with any specific information, and can often lead to complications down the road. While a simple Numbers Only Light mortgage pre-approval is a good start, a more in depth pre-approval is far more useful. When speaking with a mortgage broker, there are several things you should be looking out for, and one of the key indicators of as to whether the mortgage broker you are talking to is knowledgeable, is whether he/she is asking you the right questions. By asking you the right questions, your mortgage broker should be able to get a sense of what your financial, credit and personal situations are, as well as be able to ascertain what type of mortgage you would be best suited for. There are various differences between the many mortgage products on the market in terms of product function, but there are also many differences in product qualification. If your mortgage broker isn’t thoroughly interviewing you, you might find yourself understanding that you qualify for a certain product that in reality is unavailable to you. An In Depth Numbers Only mortgage pre-approval, will be far more useful to you as a prospective homeowner in comparison to the Light Numbers Only mortgage pre-approval. In addition, by going through this process with a mortgage broker, you’ll be able to determine whether the mortgage broker you are talking to has the knowledge and ability to actually get you a mortgage when the time comes. The third type of mortgage pre-approval is a Credit Check Mortgage Pre-Approval. This type of mortgage pre-approval involves the mortgage broker not only qualifying you based on the information you’ve provided, but by also obtaining a copy of your credit report. By adding the credit report to your mortgage pre-qualification, your mortgage broker is able to accurately determine whether you will be able to qualify for any of the available mortgage products. There are 2 primary advantages to using this type of mortgage pre-approval, compared to the numbers only variety. The first advantage is that With this type of mortgage pre-approval in hand, you will be able to go out, into the market place confidently knowing exactly what you’ll be able to qualify for. The second benefit of a credit check mortgage pre-approval is that you might find out that you do not currently qualify for purchasing a home. You may have collections reporting on your report -lowering your score, or find out that debts are reporting on your report that you were unaware of. By understanding why you are unable to purchase a home, your mortgage broker should be able to provide you with a list of recommendations for things you will need to do in order to purchase a home. While learning that you are unable to purchase a home right away may be disappointing news, learning that you are unable to qualify for a mortgage after spending hours looking at homes is undoubtedly worse. A rate hold mortgage pre-approval is a type of mortgage pre-approval whereby you are able to secure a rate, and protect yourself from rates going up (usually for 90-120 days) while you shop for a home. This type of mortgage pre-approval requires that your broker obtain a copy of your credit report, thoroughly examine your current credit situation, and complete the necessary calculations for mortgage qualification. Once complete, the mortgage broker actually submits your entire mortgage qualification file to a lender, and secures a ‘rate hold’ whereby the lender actually sets aside funds for you, and guarantees a rate to you. This type of pre-approval can be particularly helpful in the spring months, when mortgage interest rates go up in response to increased demand for mortgages. If you are looking at purchasing a home this spring a Rate Hold Mortgage Pre-Approval may be the way to go.